Last week, Facebook had launched a shrewd, deceptive email campaign on their platform for garnering support for Free Basics from unsuspecting Facebook users who didn’t even knew what they are supporting. As expected, this is working for Facebook. As per reports from TOI, around 6 lakh emails have been received by TRAI which mainly supports Free Basics. The unnamed official who has revealed this information claims that this sudden spurt in support came only after Facebook launched their email campaign on 17th of this month. December 30th, 2015 is the last date for submitting your anger and frustration regarding Free Basics, Airtel Zero and all such anti net neutrality arguments to TRAI. This is TRAI’s second consultation paper regarding the arguments for implementing free and fair Internet in India, and this is probably your last chance to make a difference. Here is the direct link to TRAI’s consultation paper. Save The Internet forum has made the process even easier. By visiting their portal, you can click on “Respond to TRAI Now” button, and copy paste the pre-written email wherein you are supporting Neutral Internet in the country, and pleading TRAI to stop Free Basics and Airtel Zero programs, which will destroy innovation, startups and ideas. This email needs to be sent to [email protected] and while sending a BCC at [email protected]. This BCC will help Save The Internet forum to track how many emails were sent to TRAI. Last time, they recorded 12 lakh emails via this email id. 48 hours back, a Reddit user had shared an Reliance advertisement published by Amar Ujala newspaper, which was clearly a gross violation of Net Neutrality. 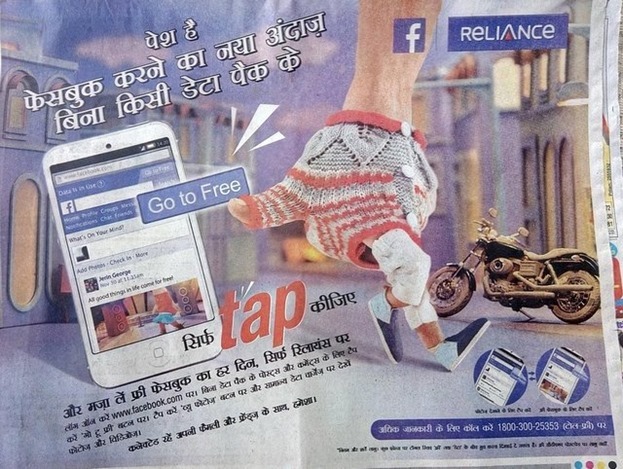 The ad says: “New style of accessing Facebook without any Data Pack”. The reader is encouraged to choose ‘Free Basics’ option to freely access Facebook; while viewing videos may incur charge. This whole premise of ‘Free’ Internet is what we are scared of – Once the user is hooked on to this free addiction, then Facebook will literally control the web. After accessing free Facebook, why will a user pay to access Twitter or Ello; or rather any website which is not included in the Facebook’s Free offer? The ripple effect is clearly evident as other telecom players like MTS is clearly trying for anti-net neutral plans like #OpenWeb, which can destroy fair Internet in India. There is only one way to stop Facebook and all those rich corporations who are attempting to enslave Internet: Respond to TRAI’s consultation paper, and express your support for Fair, Not Free Internet. May The Force Be With Supporters of Neutral Net. "Net Neutrality At Threat: TRAI Has Received 6 Lakh Emails Supporting Facebook’s Free Basics", 4 out of 5 based on 14 ratings. BSNL Starts Offering 80 percent less Tariff to Attract New Users! Internet is a utility: it’s access is a right, not a privilage or a luxury. It is like water or electricity in a modern era. Just as we require that people get free water for drinking ect, people need access to free Internet, even if free Internet is slow. Paying for fast Internet is ok, paying for any Internet at all is still wrong. Not everyone has access to free wifi hitspots, although many do. Facebook and the rest of the tech industry has a moral responsibility to connect the world’s people. That means they have a moral responsibility to provide free Internet, even if that connection is a slow one, and people have to pay for faster. But Facebook is making a farce out if this by only offering free Facebook access, not free Internet access. This is a sham and Facebook needs to provide free, unlimited Internet to people who do not have it. Project Loon will offer free Internet where Facebook has failed with its internet.org bribe. Google understands this. 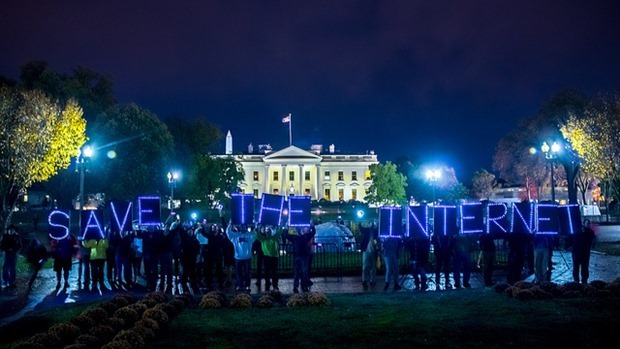 Internet needs to be fair AND free, and users can pay for speed. How is mts openweb plan anti-net neutral?